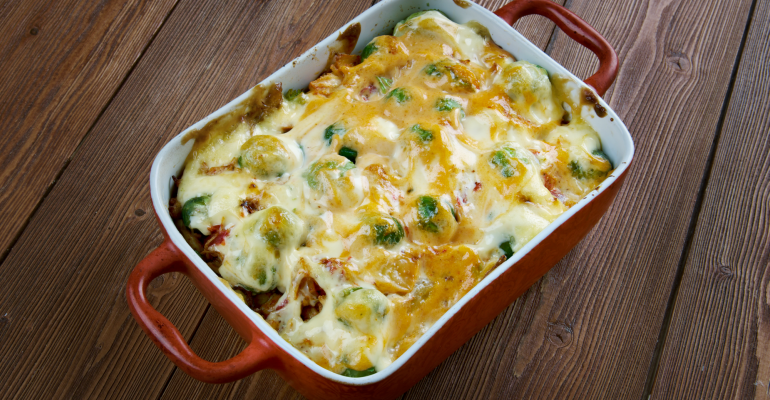 Grandma’s Secret Broccoli Chicken Divan Casserole Recipe REVEALED! It was my husband’s turn to make dinner and what he served us was truly a masterpiece. When it comes to casseroles, I’m all in. I find them to be insanely easy to prepare and they are always filled with hearty ingredients. In most cases, casseroles contain all the food groups to some degree so they can easily be a one pot meal. I really like this chicken divine recipe for just that reason. It contains cheese, chicken, and broccoli. You wouldn’t even need to make anything else to go along with it if you didn’t want to. I like to serve some biscuits and applesauce with this meal but that’s because my family must have sides or they lose their minds. We had a rotisserie chicken dinner the other night and had leftovers so I simply shredded up the chicken and made this casserole. It was so good! And guess, what? Using leftover chicken meat makes this already easy recipe even easier to make! I’ve gotta say, I’m really impressed with this dish. USE THE RED NEXT PAGE LINK BELOW FOR THE BROCCOLI CHICKEN DIVAN RECIPE. Quick Tip: If you have leftover chicken breast from a previous meal feel free to use it in this casserole.